A brass ewer with hinged lid and moulded feet dating from the late 6th to early 7th century. It was discovered in a grave during the excavations for Wheathampstead railway station. It was purchased by the British Museum (Catalogue number 1900, 0719.4) from the owner, Mrs Fanny Bury Palliser, in 1900. The ewer is said to have originated from the eastern Mediterranean and as recently as 2010 has been on loan to a German museum for an exhibition "Byzantium: Splendour and Daily Life". "The Anglo-Saxon remains in the country are few, and mostly unimportant, but there is one object so remarkable that· Mr. Smith states that its like has never been found in these islands, and but seldom on the continent. 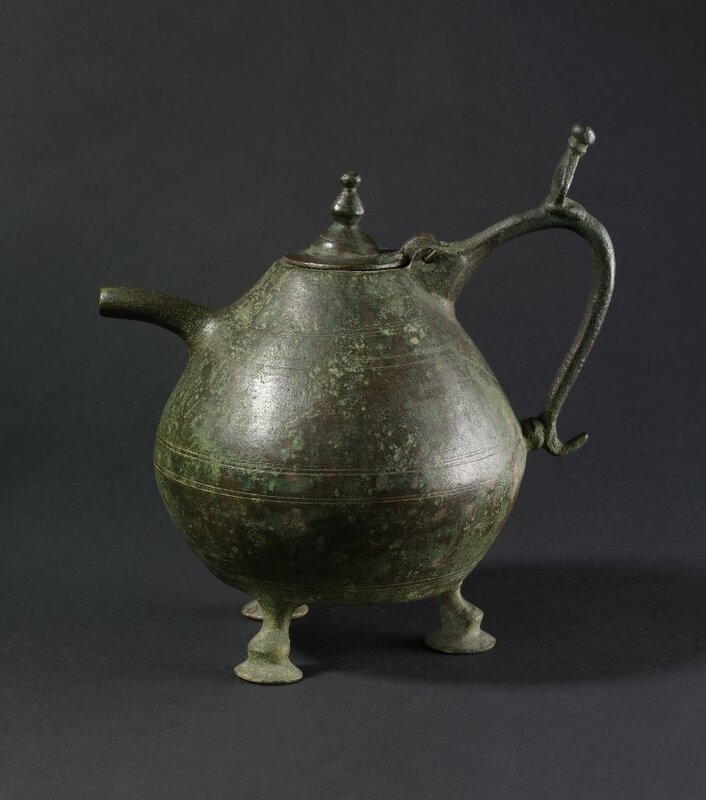 This is a bronze ewer, nearly nine inches high, with a pear-shaped body, a short curved spout issuing from near the top, and a thin handle with a pellet on the top; the mouth is circular, and has a hinged lid with a knob; the base is flat, and rests on three feet. The vessel, with the exception of the lid, is cast in one piece with considerable skill. It is stated to have been found about 1886, in the neighbourhood of Wheathampstead, with a glass tumbler, several human skulls described as male, other bones, and some bronze rings. It is now in the British Museum. The Rhine district furnishes the only known parallels, and, Mr. Smith considers, that this ewer probably came from that part of Europe."